This fact sheet will help you to understand how insulation works, what different types of insulation are available, and how much insulation makes sense for your climate. There are many other things you can do to conserve energy in your home as well. 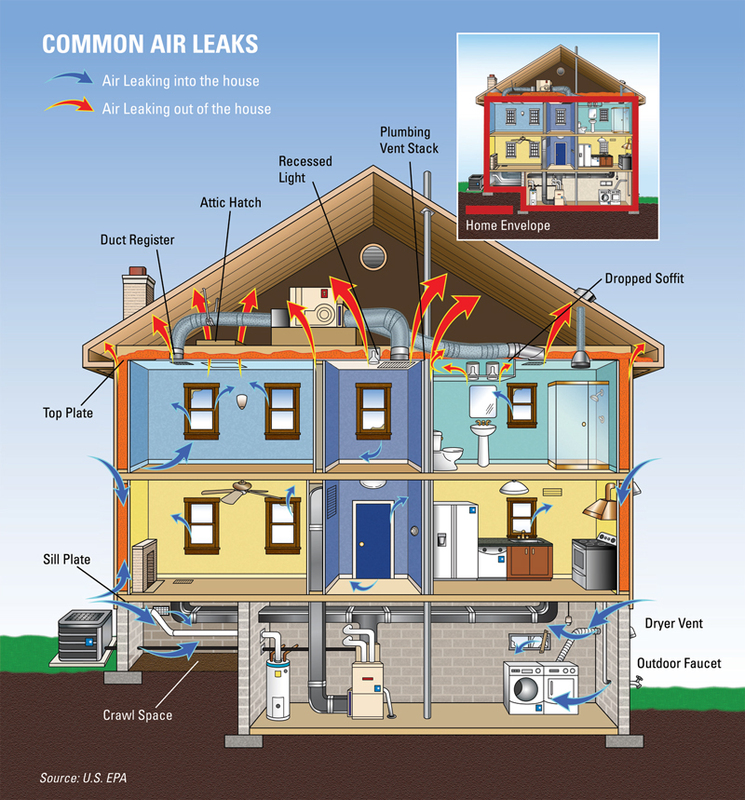 Many air leaks and drafts are easy to find because they are easy to feel - like those around windows and doors. But holes hidden in attics, basements, and crawlspaces are usually bigger problems. Sealing these leaks with caulk, spray foam, or weather stripping will have a great impact on improving your comfort and reducing utility bills. Homeowners are often concerned about sealing their house too tightly; however, this is unlikely in most older homes. A certain amount of fresh air is needed for good indoor air quality and there are specifications that set the minimum amount of fresh air needed for a house. 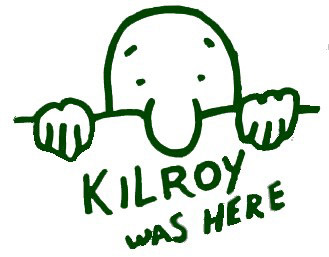 Kilroy Technicians are skilled in evaluating current and needed air flow, systematically reducing excessive infiltration and carefully adhering to important indoor air quality standards. Attic ventilation is an important part of roofing. Proper attic ventilation extends the life of a roof and reduces problems because it minimizes the temperature differential between the attic and the air outside. Proper ventilation will remove moisture and heat from the attic. Trapped heat and moisture can raise energy costs, cause ice dams, and damage roof system components as well as structural and personal items located inside the attic where temperatures can easily reach 150° F (65° C). Condensation that forms inside attics can be caused by the use of washing machines, dish washers, bath tubs, showers, and tumble driers unless these items are properly ventilated through the roof. In some cases the condensation can be bad enough to be mistaken for a roof leak. Here are some problems associated with an improperly ventilated attic space. Sumps between rafters (deck deflection) can happen because after awhile (sometimes several years, sometimes only a couple years), a plywood roof deck can warp or deteriorate and become spongy and dangerous to walk on. This occurs because one side of plywood decking needs be able to "breathe" by being exposed to circulating air. The adhesives used in the plywood can deteriorate or Dry Rot can occur because of condensation. Water vapor will condense first on anything metal inside the attic; this will eventually cause the metal to rust. Heads can rust off nails, metal plumbing straps or straps holding HVAC ducting can rust in two causing the ducting to crash down on top of the ceiling joists or through a suspended ceiling. This problem is more common in humid climates. In colder climates - generally where the average January temperature is 32° F (0° C) or colder - high inside humidity (40% or greater) combined with low outside temperatures can cause frost to form on the bottom of the roof deck. Insulation can trap moisture which will reduce the R-value of the insulation and create a nice environment for the propagation of certain molds, spores, and fungi which will also cause problems.There is also the problem of mildew which is both damaging and can cause health problems. The roof system itself will deteriorate prematurely. Cooling units will need to be serviced or replaced prematurely because of excessive use. Ice Dams - ice dams are the result of melting snow continually refreezing at the roof perimeter and then backing up under the shingles and causing leaks. Proper ventilation used in conjunction with heavy insulation and an air barrier can create a Cold Roof Assembly which will help eliminate ice dams. 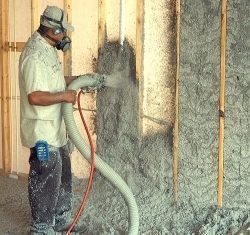 Kilroy Home Insulation offers a variety of services. Adding more insulation where you already have some, such as in an attic, will save energy. You can save even greater amounts of energy if you install insulation into places in your home that have never been insulated. Figure 1 shows which building spaces should be insulated. These might include an uninsulated floor over a garage or crawlspace, or a wall that separates a room from the attic. Figure 3 can give you general guidance regarding the appropriate amount of insulation you should add to your home.